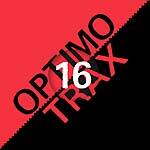 What started as an idea in 2012 now becomes reality with the release of Saigon Supersound Vol. 1, compiled by Jan Hagenkötter. 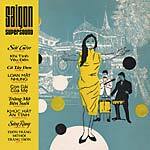 A compilation about the story of a musical era in Vietnam that was almost lost, made of tracks from 1965 to 1975, the so-called "Golden Music" period in the south of Vietnam, where -- under difficult circumstances -- a lively pop culture had developed. This period is characterized by the fusion of Vietnamese music with western pop music. 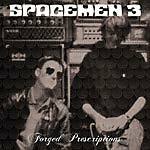 The compilation includes some tunes reissued for the very first time since their original release. Jan Hagenkötter, a music-lover and DJ who is also the mind behind the renowned music publishing company and record label INFRACom!, relocated to Saigon in 2012. In co-operation with the Vietnam based dOSe crew, Jan organized parties and shows, inviting guest and friends like DJ Spinna, Jazzanova, Alice Russell, and many other artists. In 2012, as he was spinning tunes in Saigon and other parts of South East Asia, the idea for this project was born. In 2013, Jan returned to Germany, but he has been swinging back and forth between Saigon and Frankfurt ever since. 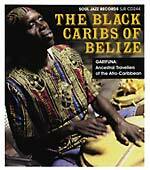 In the following years, he began to research and collect more seriously. He bought vinyl singles from around the world, often several copies of the same release, just to restore or rather "rebuild" one good recording from several sources. With the help of friends based in Saigon, he was able to navigate an almost impenetrable jungle of music websites and come into contact with several collectors. The best recordings from this treasure hunt were then retouched, refined, and remastered in the studio for this release. 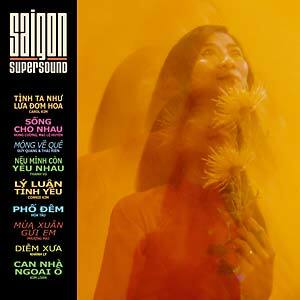 Besides this amazing project, Vietnamese producers like Maqman from Saigon, DJ Yellow from Paris, and others who also share roots in Vietnam, have already started to work on edits and re-works of songs featured on Saigon Supersound Vol. 1. Features: Carol Kim, Hùng Cường & Mai Lệ Huyền, Duy Quang & Thái Hiền, Thanh Vũ, Connie Kim, Hòa Tấu, Phượng Mai, Khánh Ly, Kim Loan, Thanh Thuý & Văn Thanh & Hoàng Liêm & Thanh Mai, Kiều Oanh, Thanh Lan, Châu Hà & Thanh Mai, Mai Lệ Huyền, Vân Sơn & Thùy Dung, Hoàng Oanh, Phương Dung, and Ngọc Giàu.